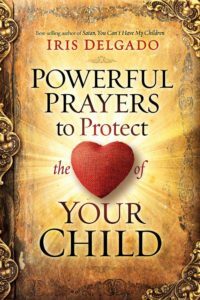 Powerful Prayers To Protect The Heart Of Your Child by Dr Iris Delgado is a very powerful book about the importance of prayer. It contains prayers and scriptures to say over our children. It does not matter if your child is five or fifty five our children still need our prayers. Prayer is the most powerful thing that we can do for our children. It will break strongholds, heal, protect and return the prodigal. We need to protect our children from the enemy. “Crises and chaos in a home are signs that the enemy, Satan, is working full time to destroy the family.” We are all in a spiritual battle and we need to be armed with the Word of God. Praise and worship will keep our hearts, minds and eyes focused on God. We may pray alone or we may have prayer partners and pray over each other’s children. The important thing is to pray and to keep on praying. We need to soak our children in prayer. This book has prayers for all sorts of occasions as well as for the parents, the single Dad, the single Mum and the divorcing parents. We need to pray for wisdom and discernment in partnership with the Holy Spirit. Remember that God has already defeated Satan, so do not limit the power of God. We have a great big God. “God does not have bad days.” He does not sleep. He is always awake and working. This is a book you cannot afford to miss. Your children’s lives may just depend on your prayers. Pray now, continue to pray and do not stop.